A welcome return for the famous Sparkman and Stephens-designed One Tonner. 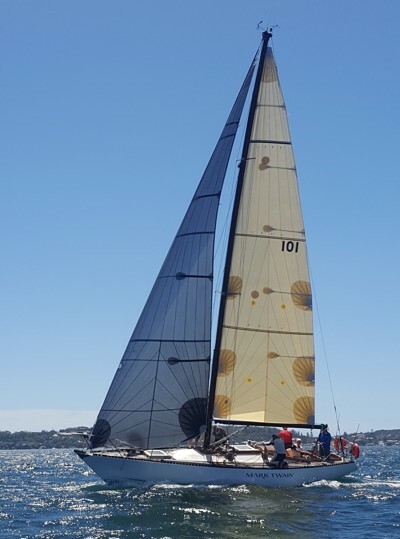 Now under the ownership of previous Hobart Race winner Michael Spies she will be hard to beat in a small-boat race. Spies has assembled an experienced, veteran crew who will push the boat to the limit. Launched in 1971 for Victorian yachtsmen Ron Langman, she represented Australia in the 1972 One Ton Cup when skippered by Jock Sturrock and then won the 1979 Sydney Noumea Yacht Race. She competed in her 25th race to Hobart in 2002. Has undergone a major refit in an effort to deliver a second victory for skipper Spies.